The clearomiser is the element of the Electronic Cigarette which contains the E-liquid and Vape. 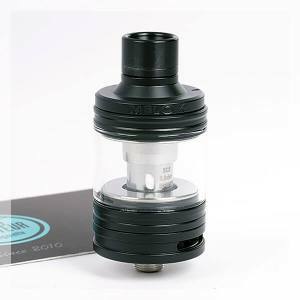 CUBIS, NAUTILUS,TOP TANK, PROTANK,TARGET PRO.... clearomisers, simple last generation, reliable and high performance! Indirect inhalation Indirect inhalation clearomizers that produce a conventional vapor with a tight draft. Direct inhalation These are clearomizers with very low impedance resistors (generally between 0.5 and 1 ohm) and large air intakes. A beautiful sub ohm clearomiser of 6,5 ml in capacity, with a reservoir dotted with silicone protection rings. 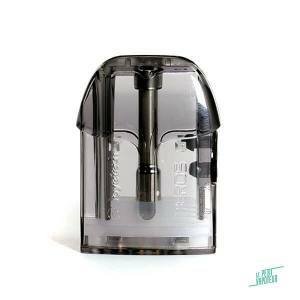 A simple to use Clearomiser, compatible with the Nautilus BVC Coils, to vape in MTL or DL. 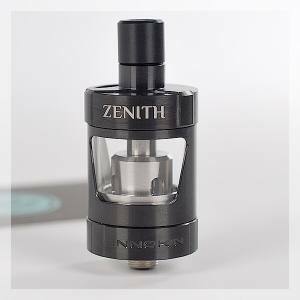 A MTL Clearomiser of 22 mm in diamètre compatible with the Zenith Innokin. A beautiful 25mm Clearomiser with the Mesh Coils and Capacity of 6 ml. The Titanide Clearomiser for the production of vapor. 3 ml or 4,5 ml capacity and compatible with the V8-Baby. A Sub Ohm Clearomiser of 7 ml, utilising Mesh Coils in Wood Pulp and Cotton Fiber. A Clearomiser of 16,5 mm in diameter, economic and performant, compatible with the GS Air Eleaf. A mini version of Zenith. With a capacity of 3 ml and a diameter of 22mm. A simple and compact Clearomiser for a tight pull. 2ml Tank, filling from the top. A tank advised for Expert or Beginners in search of a polyvalent Clearomiser, simple and reliable. Ideal to begin the Electronic Cigarette or simply vape in Indirect Inhaling with a tight pull. 3 pods compatibles with the Mico Pod by Smoktech with an integrated coil a reservoir of 1,7 ml. Replacement Pods for the Enovap electronic cigarette. With coils of 0,60 ohm. 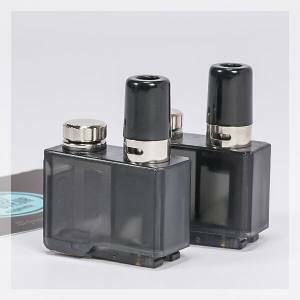 2 x Cartridges compatible with the Orion Q Pod. A capacity of 2ml with a coil of 1.0 ohm. Replacement Cartridge for the Nord Pod by Smok. Delivered with 2 x Nord Coils : de 1.40 ohms and 0.60 ohm. A changeable cartridge for the Nautilus AIO. With a 4.5 ml reservoir, integrated with a 1.80 ohms coil. A replacement cartridge with the Lynq Pod by UD. 1 ml Reservoir with a coil of 2.0 ohms. Compatible with the Compak Ob One Sigelei Electronic Cigarette. A coil of 1.60 ohms and a 2ml reservoir. Compatible with the Novo Pod Smok. 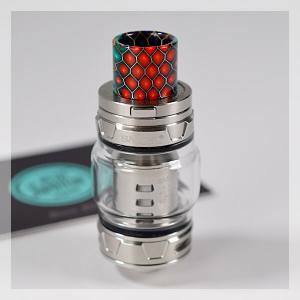 Coils of 1.40 ohms in ceramic and has a capacity of 2 ml.